I read the papers a lot and I heard very, very little about what happened to this island...But this country has been devastated, and there are still thousands and thousands of people without homes, without clothes, without fresh water, or clean water, without roofs on their houses, those whose homes weren’t destroyed. The schools still aren’t open. There’s still no electricity. And I think a lot of work needs to be done to help them. Not a corner of the tiny Caribbean nation of Dominica was spared the wrath of Hurricane Maria, which ripped across the island as a Category 5 storm on September 18th with 160 mph winds. 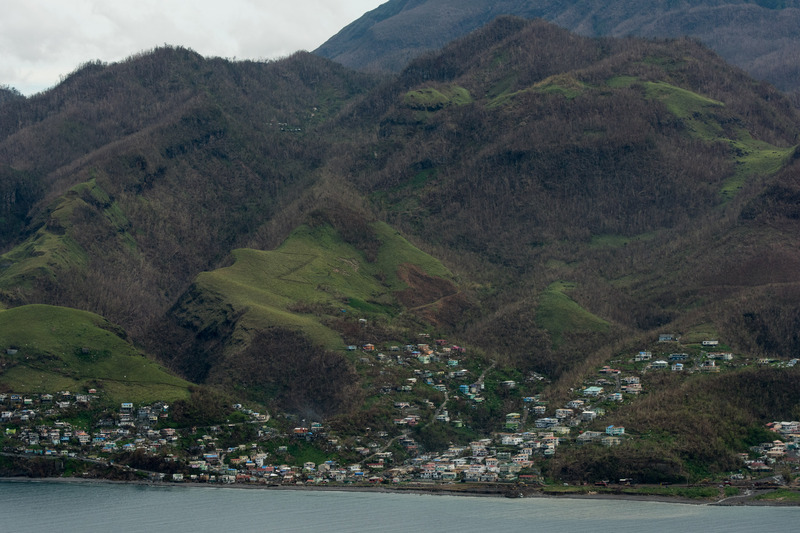 One-hundred percent of Dominica’s residents have been affected by Hurricane Maria, which inflicted serious damage on roads, buildings, homes, and health facilities. The forests that gave it the nickname “nature island” have been stripped away. Six weeks after Hurricane Maria unleashed its wrath on Dominica, recovery is slow, with residents struggling to pick up the pieces. 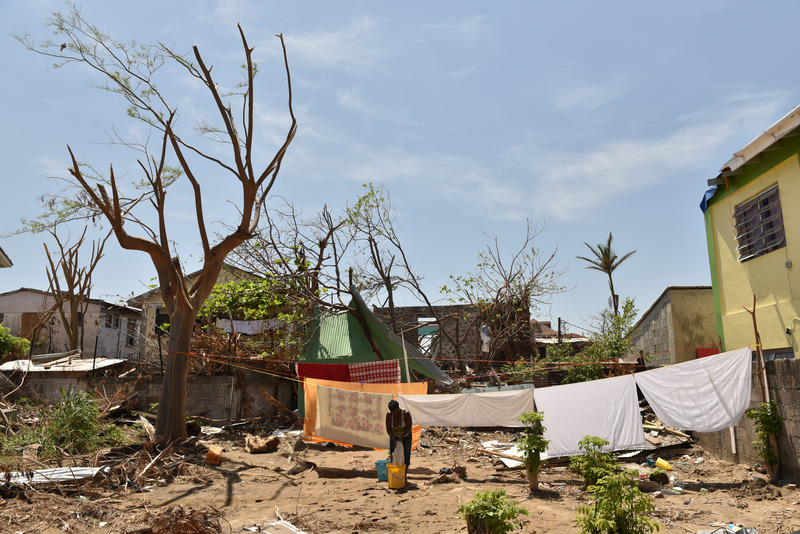 Food, shelter, water, electricity, and communications capabilities remain scarce across the island. 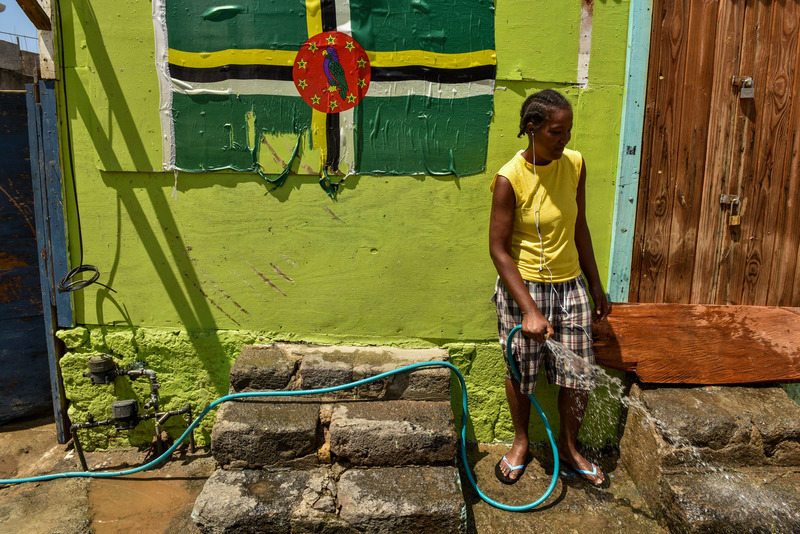 Only 43 percent of Dominica’s health facilities are functional. The remaining 57 percent are either shuttered or only partially functioning with staff, but no water or electricity. 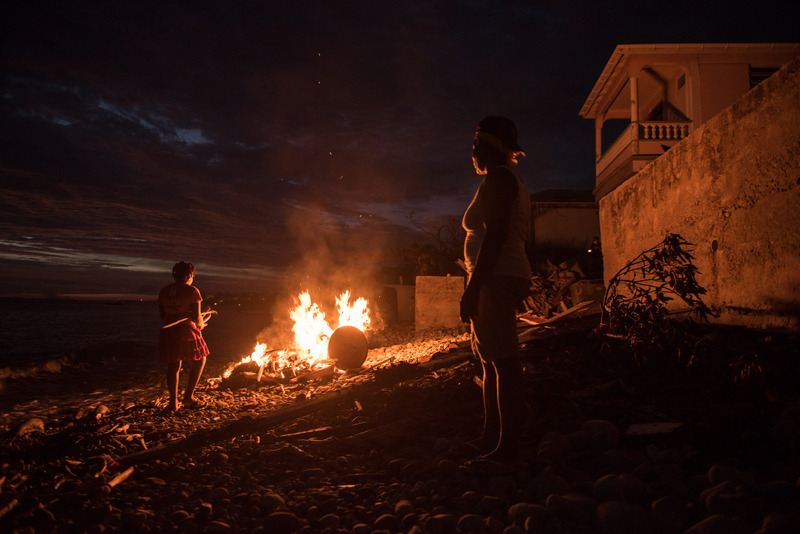 Despite the massive devastation and needs left in Hurricane Maria’s wake, the world has largely moved on, with the conditions in Dominica barely breaking into the news cycle. International Medical Corps is there, working with Dominica’s clinics to help them care for patients and get back on their feet. With airports closed, International Medical Corps provided an Air Bridge to run regular flights to Dominica so that medical volunteers, first responders, patients, and government officials could get on and off the island. 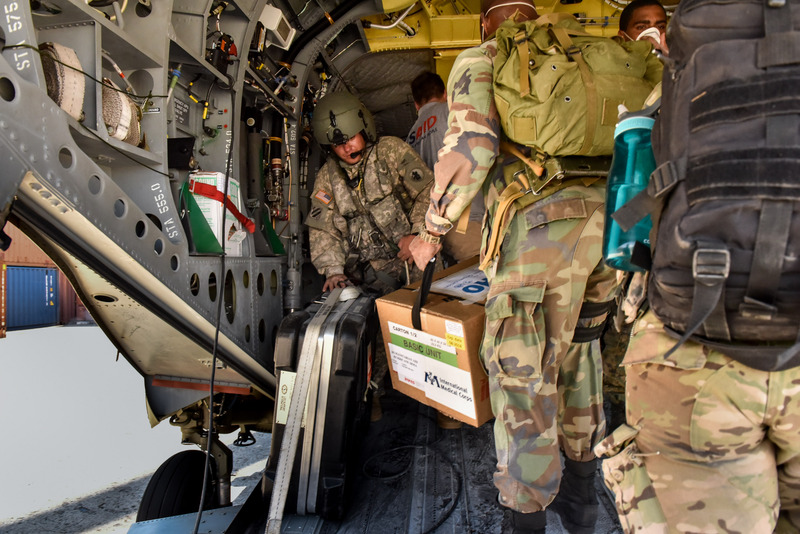 The Air Bridge, which ran from September 29th to October 31st, moved 328 people first responders, patients, and others to and from Dominica and other hurricane-affected islands as well as 71,000 pounds of cargo, including medical supplies and lifesaving relief. 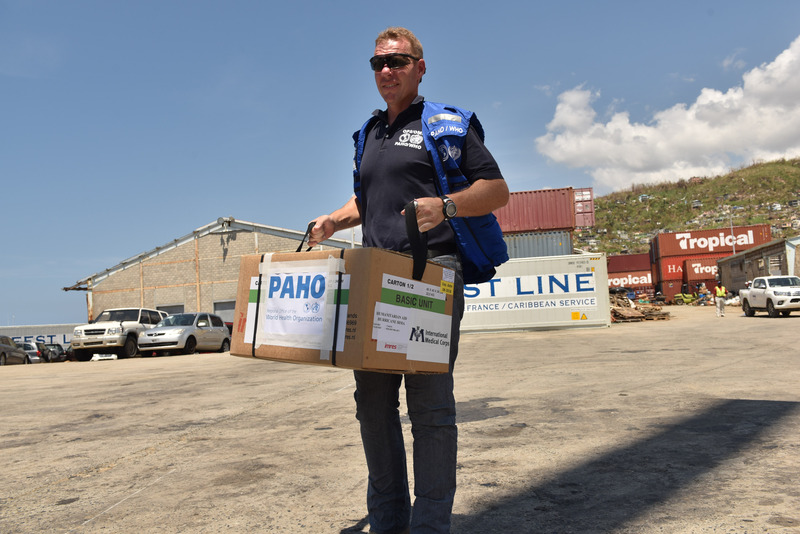 As part of its immediate response efforts, International Medical Corps mobilized an Interagency Emergency Health Kit, which has enough medication to provide 10,000 people with basic medicines and supplies for up to three months. These supplies were distributed to three major health centers, which will then send supplies to local health facilities as needed. 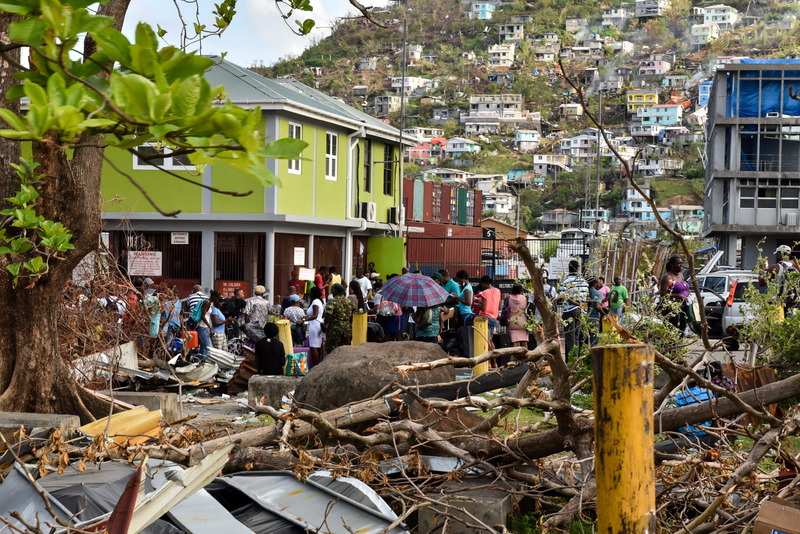 International Medical Corps deployed three volunteer medical teams to some of the hardest hit areas of the island in St. John and St. Andrew’s parish, some of the most populated parts of the island. The teams are working in local health facilities and traveling to remote communities as needed to provide care in vulnerable households. 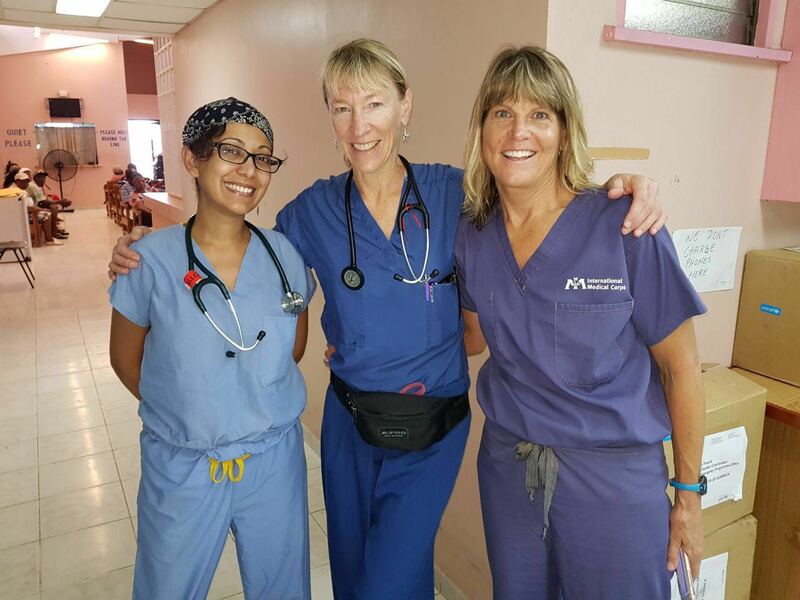 Dr. Tara Sood (right), Dr. Carolyn Haase (center), and nurse practitioner Karen Dominguez are members of International Medical Corps’ volunteer medical teams in Dominica. The teams have seen more than 300 patients. One of them was a 14-year-old girl who was a relative of one of the local nurse practitioners, who shared her experience of Hurricane Maria with Karen. 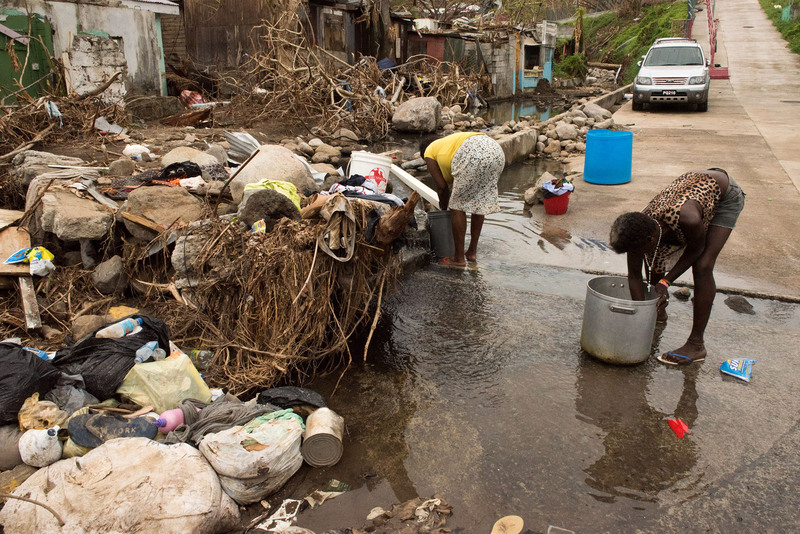 International Medical Corps will provide water, sanitation, and hygiene services, including the rehabilitation of water systems, in St. Johns and St. Andrews. This work will provide 70,000 liters of clean water a day to residents. 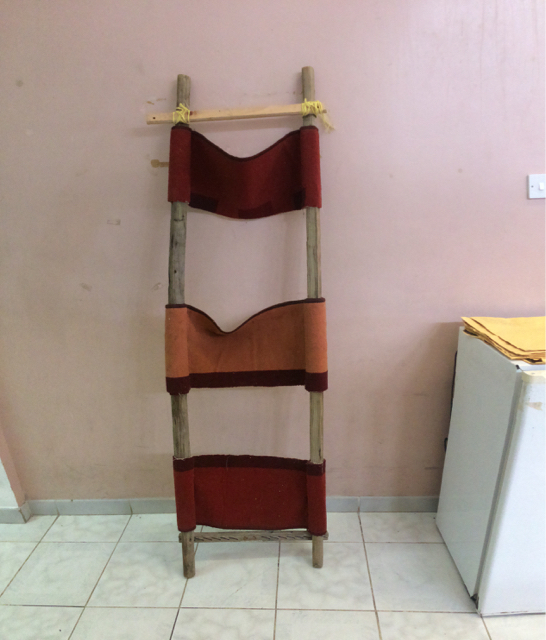 Additionally, International Medical Corps will be distributing hygiene kits and water storage cans and training community leaders on water testing. Despite the immeasurable loss families across Dominica are facing, the International Medical Corps team has been struck resilience and strength of the communities they are serving.